The project that I want to present at the GSA is part of my dissertation, which is titled “Capitalizing on the Avant-Garde? An Analysis of Adversarial Authors’ Marketing Strategies in the Second Half of the 20th Century”. My research examines the establishment of avant-garde authors’ and artists’ public personae in the context of changing structures of the public sphere. In particular, I focus on the self-presentation and promotion of adversarial authors who draw on the ideals of the avant-garde and the artistic critique of capitalism. Such authors are known for their critical stance towards the bourgeois lifestyle and materialist values, an opposition that they express in their works and at times also through their own bohemian identification. Yet these same anti-establishment authors and artists present themselves in the mainstream public sphere and the media, arenas that are highly influenced by the laws of the market. I therefore examine whether these authors’ use of marketing methods and media environments undermines their outsider credibility and the credibility of their work, or, alternatively, how they may have been able to develop strategies of engaging with the media and marketing principles that allow them to remain subversive nonetheless. 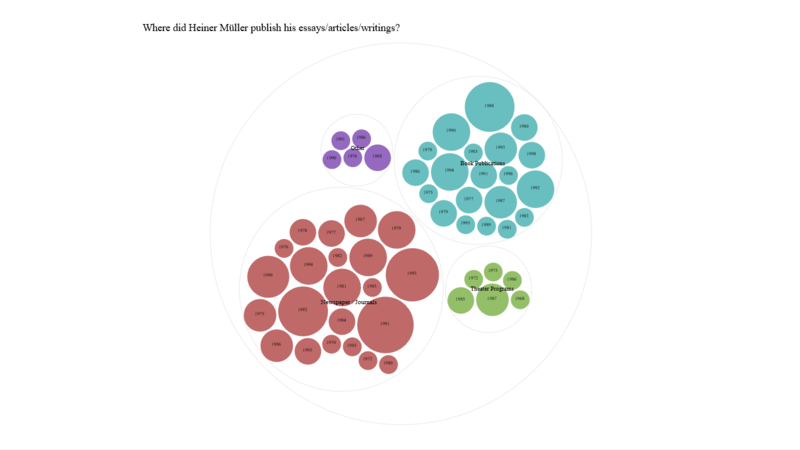 In particular, I analyze how East German playwright Heiner Müller (1929-1995) presented himself in public and how he was marketed and strategically positioned by his publishing houses, especially by the Suhrkamp Verlag. I draw on his television interviews, public readings, and speeches, as well as on marketing materials such as book covers, blurbs, and press releases by his publishers. I therefore claim that publicly accepting the aforementioned literary awards and thereby implicitly honoring the cultural authority of the granting institutions was crucial for the establishment of his public persona and for gaining access to the mainstream media. The data also documents specific changes in Müller’s choice of publication venues for his writings over time. 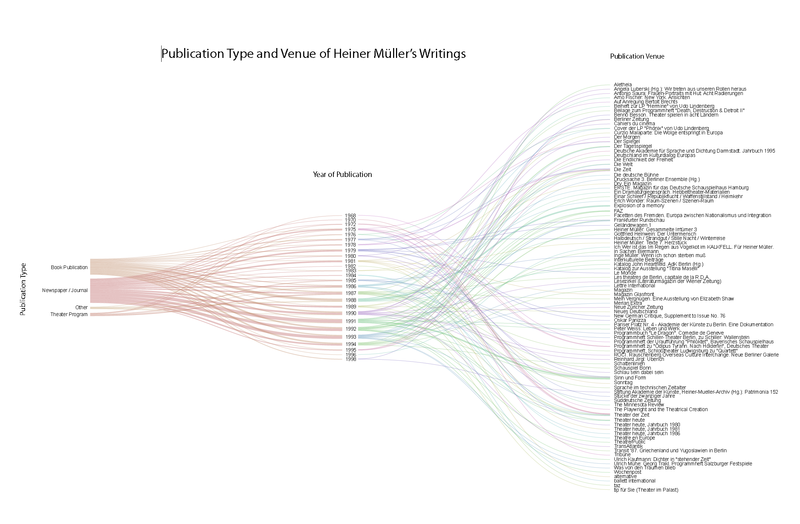 The visualizations that I generated with RAW allow me to argue that Müller ceased from publishing his essays, articles, and interviews in theater programs – a publication type that he used in the 1960s and 1970s, but that usually only reaches small audiences of actual theatergoers – as soon as he got access to the mainstream media in the late 1980s and the beginning of the 1990s. 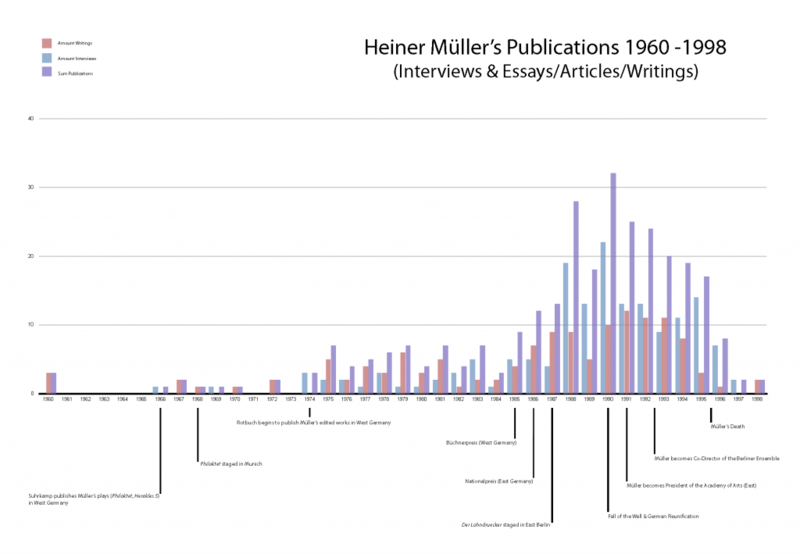 Graph 3: Where did Heiner Müller publish his Essays/Articles/Writings? The process of collecting, refining, and visualizing this data was crucial for making the discoveries that I just mentioned. 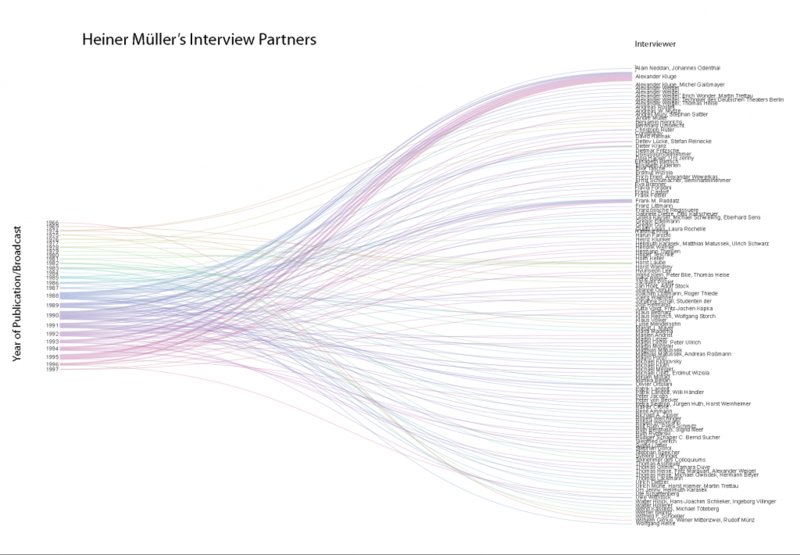 I had read and analyzed Müller’s interviews and writings before: I had taken notes on specific topics and I had interpreted certain pieces or passages, but only the data driven approach that I present here and the visualizations that I generated based on it allowed me to discover and document the broader patterns that are so critical for my thesis. I personally value this multifaceted research process as a very fruitful combination of traditional methods in the humanities (Hermeneutics, Critical Theory, Close Reading) and data driven DH approaches. 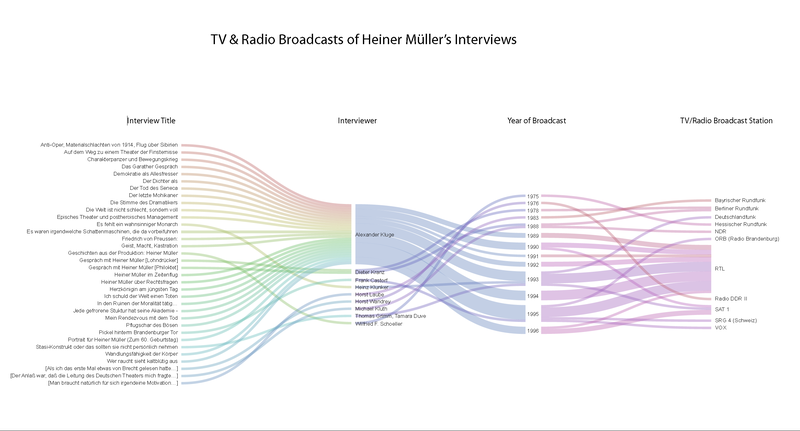 In a second step, I would like to apply some topic modeling and stylometric analysis to Müller’s interviews and writings in order to examine whether I can detect changes in Müller’s style and in the topics he addresses. My assumption is that Müller altered both his writing style and his topics when he began to reach out to more mainstream audiences in the late 1980s. This post examines an ongoing methodological project in the form of two examples: a research article, “Digital Humanities as Translation: Visualizing Franz Rosenzweig’s Archive,” and the results of a semester-long, in-class digital project, “‘The Poor Sinners’ Pamphlets.’” As the focus of this post, however, “method” signifies not just the specific technological tools and processes involved in each instance, but also the general theoretical contention that “digital humanities” means as much the potential enhancement of our study and teaching of German history, culture, and literature through digital tools as it does bringing the conceptual tools of German Studies to bear on the very transformation to our discipline signified by the digital. Such sentiments seek to expand on David Kim’s call for “hybrid methods” in pedagogy that mix digital and tradition techniques and participate in the foundational methodological discussions proposed in articles and led at conferences by Wendy Chun and Lisa Maria Rhody. In presenting the following examples, I contend that the methodical contribution of DH to teaching, learning, and research and its potential inclusivity in classrooms and scholarly communities lies in the dialectical movements between new, digital techniques and those already central to German Studies in particular and the humanities in general. In other words, I want to purpose a methodological vision of DH in which methods such as data visualization, mapping, and algorithmic text analysis can and must draw on, return us to, and allow for iterative revision by their interaction with the methods of our field, such as philology, hermeneutics, and critical theory. “Digital Humanities as Translation” employs and describes for other scholars how to employ a set of digital tools (e.g. 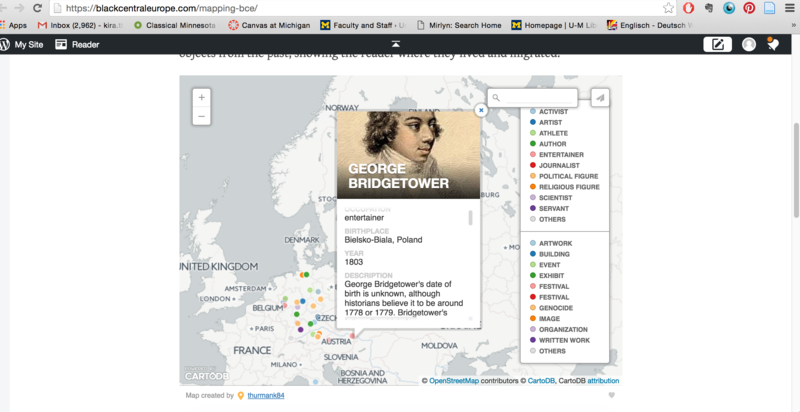 Tabula, OpenRefine, Palladio) to visualize the network of correspondences contained in the collection of Rosenzweig’s papers held in the University of Kassel archive (see the archive’s finding aid). 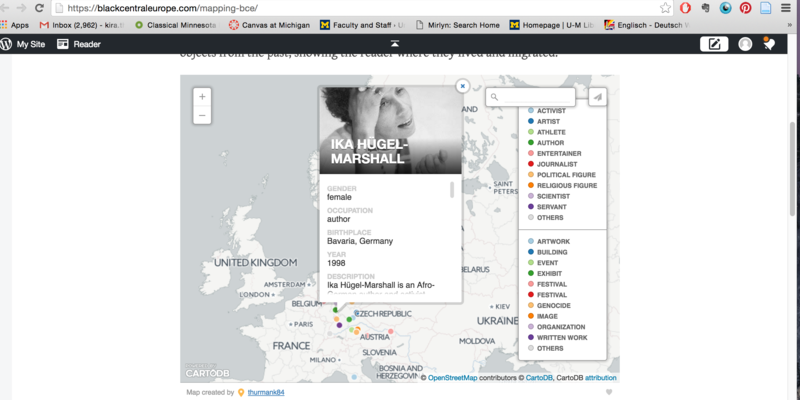 Using DH tools to copy, cut, paste, and scrub the archival data (see the final dataset) and plot them (see diagrams), “DH as Translation” serves, on the one hand, as an initial step towards a more detailed and comprehensive understanding of Rosenzweig’s intellectual biography and network, published editions and historiographies of which have come under scrutiny (see Graf and Pollock). Palladio generated timeline of document dates in Rosenzweig’s archive. Full network visualization, with Rosenzweig in the middle. On the other hand, Rosenzweig also theorizes in his theological and philosophical writings the practice of the transformation of texts from one form to another, which, so is my contention, allows us to reflect critically on the acts of “copying, cutting, and pasting,” “scrubbing” and “plotting” required to create the visualizations themselves. If translation means for Rosenzweig radical formal fidelity to literary and religious texts, then, so I take as one potential guide, we should “translate” the data of his archive in such a fashion to retain as much of the structure and nuance of the original as possible. Yet, in practice, my attempt at a faithful rendition does not simply posit a “direct” translation that preserves each and every data point, but rather, by virtue of translation, reveals marginal, non-Rosenzweig voices in his archive that call into question the ideological underpinnings of his theory of translation, as well as our own. What translation theory, recalled in the visualization process, reveals is how the choices we make in the process of visualization are not arbitrary, but carry significant historical and ideological weight. Twelve undergraduate and graduate students researched, designed, and built the online collection, the “’Poor Sinners’ Pamphlets’” in the digital humanities seminar I led at Michigan State University last spring. Starting with introductory readings in DH, our semester-long goal was to create an Omeka ‘archive’ of the so-called “Poor Sinners’ Pamphlets” (Armsünderblätter) held in the Criminology Collection in MSU Libraries’ Special Collections – a loose genre, consisting primarily of broadsheets sold at public executions mostly in the German-speaking lands during the eighteenth and nineteenth century (see van Dülmen), “programs” of a sort that described for the public what it was witnessing and what spiritual lessons it should draw from it. The course (with help from the DH specialists at MSU) taught students how to use a wide range of DH tools: spreadsheets and OpenRefine to normalize the Library’s MARC data (see the data for the 100 documents in our archive or the data for the 1421 documents in MSU’s Criminology Collection), cameras and Photoshop to digitize and color correct the pamphlet images, Omeka to host the collection, and tools such as Palladio, Voyant, RAW, and CartoDB to analyze our data. With each new DH tool, however, a class period was dedicated to a theoretical reading (Burton, Foucault, Derrida, Drucker, etc.) which framed our work within less technical and more critical and humanistic frames of inquiry: the technological manipulation of the body (both physical and textual), epistemology and exhibition, and techniques (and pitfalls) of translation. As much as DH allowed us to broaden access to a very public, but often forgotten moment of cultural history in Germany, so too the use of these DH tools thus returned students (and, for some, introduced them to) to salient questions in the humanities in order to understand better the processes that the use of these tools presupposes but often renders invisible. Both of these projects raised a number of pressing technological questions concerning German Studies and DH – such as how these digital tools, often designed by English speakers for other purposes, systematically breakdown when they encounter untidy data and formatting, something as simple as diacritical marks and special characters. At this point, I am unsure what direction this larger methodological project will take. For our discussion at the GSA, however, I hope to lay the groundwork for a conversation on how we can establish robust yet also theoretically savvy foundations for the use of DH in German Studies that takes advantage of what the digital offers us interpretively and analytically, without losing sight of the interpretive, critical, and historiographical bedrock that constitutes our discipline. 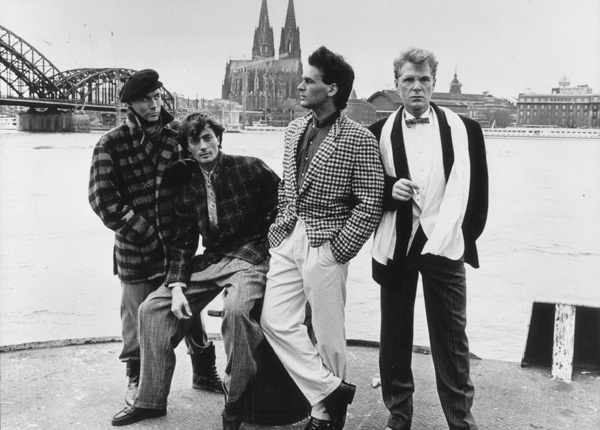 The Fashion Conscious Man [International Men’s Fashion Week in Cologne, 1986]. Courtesy of Inter-Nationes and the German Information Center. The German Historical Institute’s flagship digital project, German History in Documents and Images (GHDI), is currently being revised and relaunched. 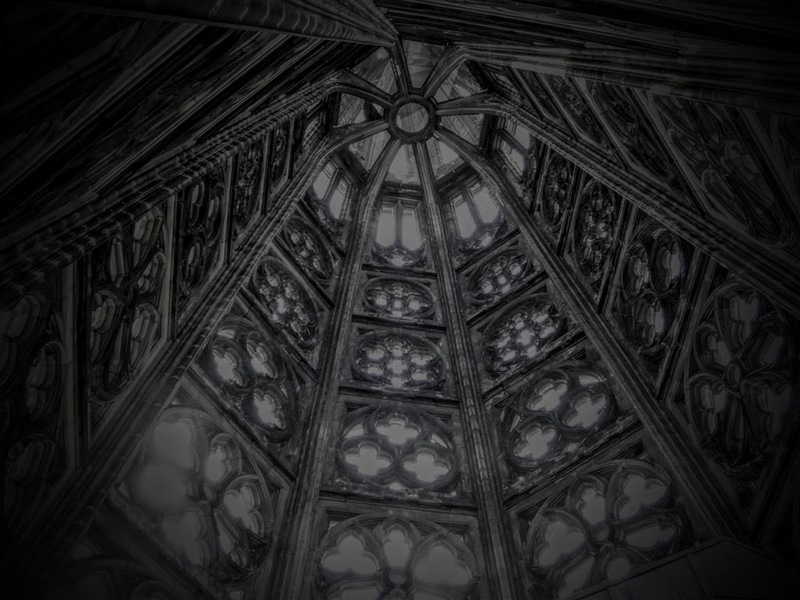 Conceived in 2002, GHDI is an online anthology consisting of ten chronological volumes that cover German history from 1500 to the end of the first Merkel cabinet in 2009. The site is completely bilingual; it includes approximately 1,700 primary-source documents (in German and English translation) and 2,300 images, all of which are accompanied by introductory texts that aid in interpretation. One goal of the relaunch is to enhance GHDI’s utility as a teaching tool; another is to make it more interdisciplinary, so that it better serves colleagues in neighboring disciplines, including German studies. In light of these objectives, the combined seminar on digital resources and teaching with authentic historical sources promises to be an ideal forum for discussing ways of presenting primary source materials in a digital environment for optimal pedagogical use. GHDI recently went through an external academic review. Many reviewers commented that the site needs a hands-on introductory section on teaching and learning with primary sources. In response, the Institute will design a new pedagogical module that will introduce some common rubrics for source analysis, including “The 6 C’s of Primary Source Analysis” (content, citation, context, connections, communication, and conclusion). The rubrics will then be applied to select textual and visual sources in GHDI. To name one example, the writings of nineteenth-century author and women’s advocate Hedwig Dohm (“What the Pastors Think of Women”) could provide the basis for a lively classroom discussion of “communication” and point of view. The module will also include recommended assignments and classroom activities. Again, on the topic of gender, it would be interesting for students to compare the views expressed in texts by Franz-Josef Wuermeling, FRG Minister of Family and Youth Affairs, and activist film director Helke Sander. Another exercise might involve examining texts by authors who advocate opposing stances on crucial issues, such as the introduction of free markets in land, labor, and capital, a hotly debated topic in Vormärz Germany. Lastly, it might be interesting to invite three of four contemporary scholars to interpret a single source from differing interpretative and methodological points of view. Questions for GSA seminar participants might include: which types of sources and activities tend to work well in classroom teaching; and how can technology be employed both to enrich traditional approaches to primary source analysis (such as the assignments described above) and to create new ones? With respect to the latter question, it would be interesting to discuss the potential of annotation applications, such as Hypothes.Is and Annotation Studio, in the context of source analysis and pedagogy. 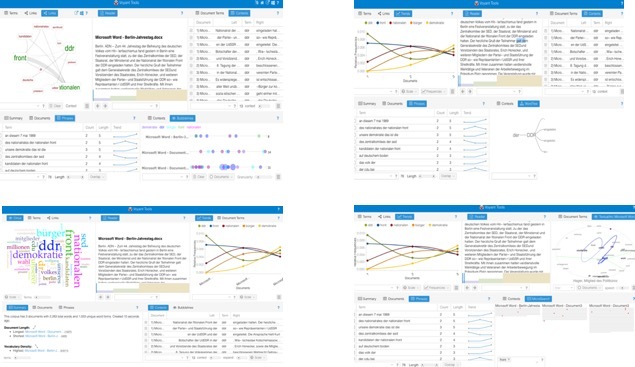 Multi-textual annotation tools could facilitate comparative approaches to sources; social annotations tools would aid in small group and classroom discussion. Annotation applications also include features that would allow students to create small sub-collections of documents and images from GHDI; this would make it easier for them to create their own historical narratives with select source materials. The analysis of images will be given equal – and perhaps even greater – weight in the planned module. Today’s students, as is commonly observed, grew up in a media-rich environment; and this fact has given rise to the general idea that they are more visually attuned than earlier generations. But is that really the case? And, if so, then what does that mean with respect to source analysis in the classroom? Are students well versed in the formal analysis of images, and how could this more art historical approach be applied to history and German studies curricula? While most students could likely identify an obviously staged photograph such as the one featured above (published by a German textile lobbying group on the occasion of International Men’s Fashion Week in 1986), they might not be able to do so in all cases. This could be problematic when they are confronted with propagandistic imagery. One relatively common criticism leveled at the GHDI website is that is includes too many portraits (the implication being that they are boring). In response, the Institute plans to author more comprehensive image captions to help point out the richness conveyed by some of these sources. 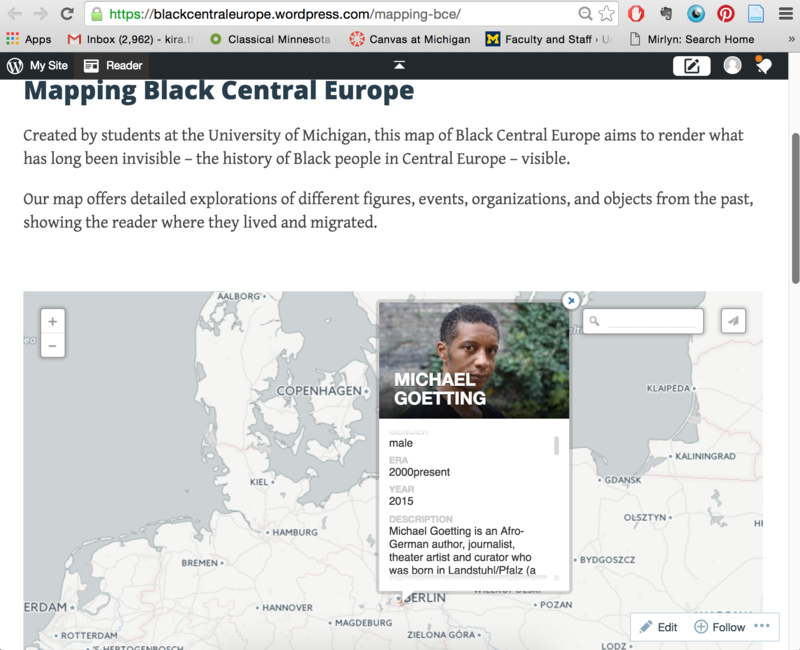 But these criticisms also point to a larger question: what types of images do students and teachers expect to see represented in a large digital collection? Do teachers, for instance, want headshots of politicians and writers to use as basic illustrations – as opposed to “real sources” – in PowerPoint slides? And can images even be responsibly separated into these two categories? Should a site like GHDI feature photos that already appear in countless Germany history texts and websites (e.g. Menzel paintings)? Whereas some scholars regard such images as tired, others view them as iconic or reassuringly familiar. What sort of mixture of the familiar and the new should a site like GHDI strive for? The GHDI relaunch will involve not only revisions and additions to the academic content, but also the creation of a new technical infrastructure and user interface. The content revisions and the technical relaunch are inseparable, not least because the types of multimedia source materials that need to be included in a revised GHDI (e.g. sound- and video-clips) cannot be published on the current platform. In addition to providing basic information on source analysis, the planned pedagogical module will also include recommendations and activities based on multimedia sources, especially postwar German films. While film and television have long been used in teaching, there are still relatively few pedagogical resources geared toward their classroom application (compared with the resources devoted to texts and images). 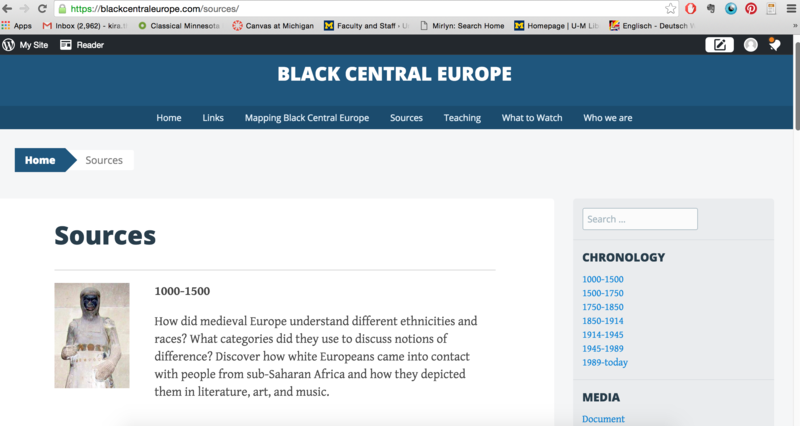 For this and other reasons, the Institute may develop a blog and an online discussion forum to promote an informal, two-way discussion about teaching with primary sources, particularly film and audio materials. 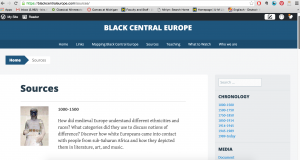 At the moment, it appears that many scholars share interesting tips about current multimedia sources – references to the television shows Deutschland 83 or Ku’damm 56 – through private Facebook or Twitter accounts. Unfortunately, these recommendations are usually limited to the scholar’s personal “friends” or “followers.” Creating a forum where members of the profession could share links and information would ensure that tips about new multimedia sources reached a larger audience and did not disappear in a sea of individual social media accounts.